Los Angeles artist Amber Goldhammer paints vibrant, abstract compositions in acrylic on canvas featuring bold colors and energetic brushstrokes. Goldhammer uses her contemporary paintings to express emotions akin to silent poetry while drawing inspiration for her palette from the layered world around her. Her artworks include unique textures and beautiful details in the surfaces. They have been exhibited in numerous international art galleries and art fairs and have been collected worldwide. 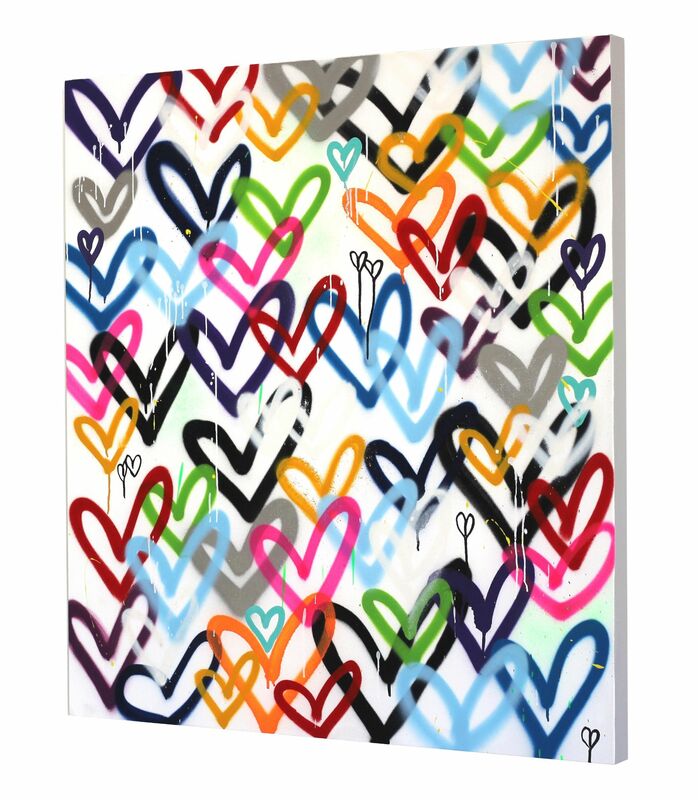 This colorful graffiti inspired 40 inch square original artwork is wired and ready to hang. The sides of the artwork are painted white. It does not require framing. It is signed and titled by the artist on the back of the painting. Convenient local Los Angeles area delivery. Affordable US and worldwide shipping. A certificate of authenticity issued by the gallery is included. 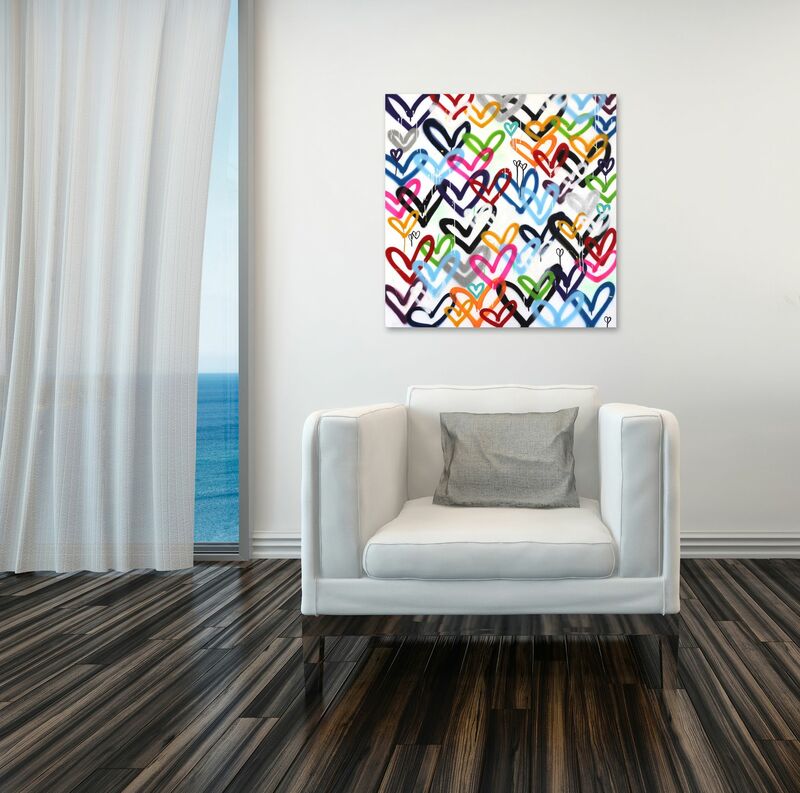 Amber Goldhammer is best known for creating vibrant abstract paintings with an urban edge that intend to connect people through messages of joy and love. Goldhammer experiments with many different mediums and processes, including spray paint, acrylic, pigments, waxes, latex, and wood. Currently living and working in her studio in Santa Monica, CA, she frequently draws inspiration from the ocean and idiosyncratic street art of the coastal California region. Goldhammer's process is influenced by her surroundings as well. The calming ocean waves and energy of the beaches informs a spontaneous creativity. There is no analyzing, conceptualizing, or judging that takes place as she builds layers of bold color. Everything on the canvas happens in the moment as a union between Goldhammer and her materials. Her artworks have been showcased in print and online publications as well as multiple TV series, including "Million Dollar Listing," Being Mary Jane," "The Catch," "GLOW," and both multi-Emmy nominated series "Crazy Ex-Girlfriend," and "Scandal." 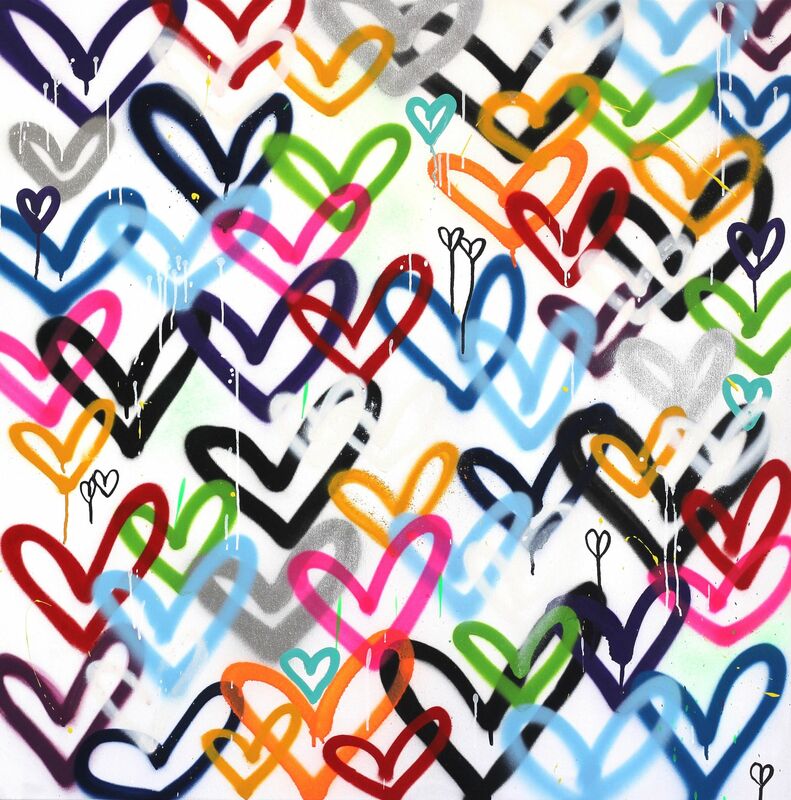 Her newest works include messages of positivity, love, and hope written with a street art edge. Amber hopes that this new series incorporating the "I love you" message expands to reach a wide audience. Connecting people through public art is one way Amber believes her street murals can impact lives, as it is impossible to view her work and not feel a sense of joy and love. 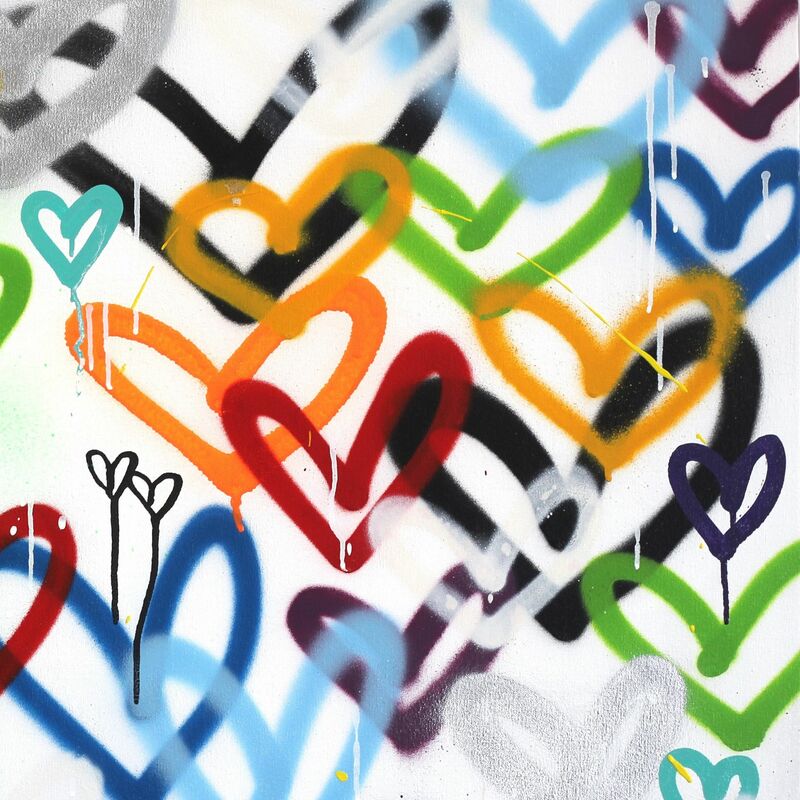 With ongoing concurrent exhibitions in galleries throughout the United States and Switzerland and an expansive history of International Art Fairs, Amber is achieving her goal of spreading joy and love through her art.